As previously announced, COMUG is ending our monthly meetings at NCAR. Our final meeting there will be June 12 at 7:00 PM at NCAR--the usual second Thursday--during which we will honor Jay Nelson for his 15 years of leadership. We plan to have tributes in person and via Zoom from present and past COMUG luminaries, so please plan to attend. Refreshments will be served. In the next few days, you may receive an Evite invitation to this meeting. Please respond--that will greatly help us plan the refreshments. If you have suggestions and contact information for people who should be part of the program, please send them to Jeff Bradley at jeffbradley[at]earthlink[dot]net. http://www.appcamp4girls.com We had a presentation from this group at the May meeting. http://www.reneal.org This group provides IT expertise and assets (computer hardware, computer software, and learning resources) to schools in the Philippines and Tanzania. Some members have expressed an interest in finding a more Colorado-oriented organization. If you have any suggestions, please send them to Jeff Bradley at jeffbradley[at]earthlink[dot]net, along with a short description of why they should be chosen. The final decision will be made by Gary Sprung, Jim Primock, Doug Grinbergs, Mike McDaniel and myself, in consultation with Jay Nelson. COMUG will continue our email forums as before. Dan Oettig has graciously consented to maintain them. Our website will stay up, maintained by Mike McDaniel. Future meetings will take place at the same time--second Thursday at 7:00 PM--at Tres Margaritas, a restaurant in North Boulder. It is located at 3390 28th St. Map here. These meetings will be informal in nature. If anyone wants to present a program, please let Mike McDaniel know ahead of time and he can mention it on the website. If members who attend future meetings want to change the location, that will be announced on the website. I do hope that you can come to our last hurrah at NCAR in June, and hope you will all show up to celebrate the accomplishments of this remarkable organization--and to honor Jay, who ran COMUG so long and so well. Questions, comments, problems with the site? Contact our Webmaster. 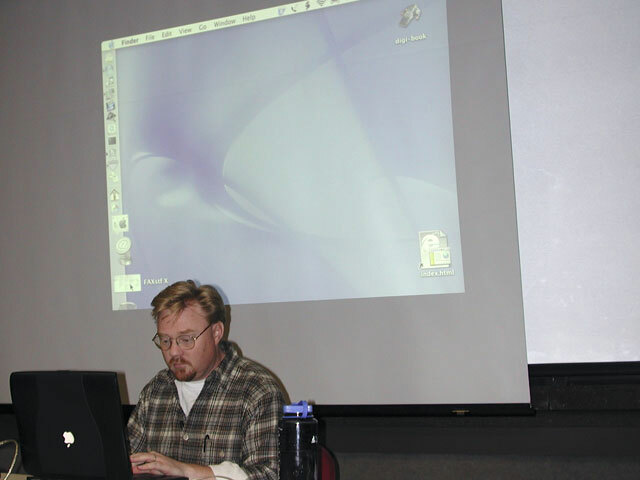 Copyright © 2005–2013 CoMUG — Colorado Macintosh User Group. All rights reserved.